Welcome to Once Upon a Pomsky. We are located in North Waterboro Maine. 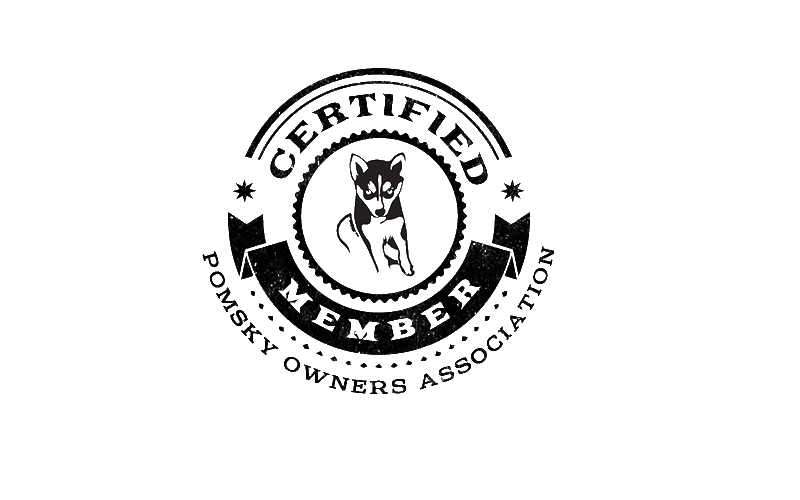 We are a small hobby breeder of Pomsky puppies. Our Pomskies, Huskies and Pom's are part of our family, and live in the house with us. We only crate them at night and they run around the house and in our back yard all day. I have two small children and 2 cats so all our puppies will be socialized around kids and other animals. Please make sure you are well informed about Pomskies before purchasing a puppy. For more up to date information or to see posts about upcoming litters and view more pictures of puppies from birth and up please like our Facebook Page. I often post when my dogs are close to their due date and during deliveries on what pups have arrived. People have also staked claims on puppies during my delivery posts. If you don't have Facebook don't worry I can add you to my e-mail list and you can receive information and pictures as soon as the pups arrive. As always I will update the site, or can make phone calls if requested.